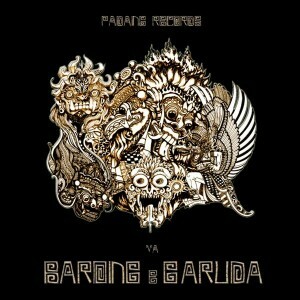 Brazilian label Padang Records proudly presents Barong & Garuda, its debut release. Receiving data from random creative psychedelic neuro-connections, these world wild artists will take you on a journey of digital and analog soundscapes not yet explored by mankind. These spiritual beat seekers travel on a progressive journey exploring minimal, techno, melodic, and dark elements, among others. With underground as our target and with creativity for strength, we emerge to entertain you and save your ears from sameness. Mastered by Pampatek with artwork by Vurdel. MP3 Download | FLAC Download | WAV Download · Download count: 16,321.
havent listened to it yet…..reading the description makes me wanna listen to this album really bad….!!!! Every now and then… ektoplazm… gives us…. mind blowing…. greatness……. thank you to all involved! hey people thanks for all coments and downloads! and this good rate it means a lot to us!!! keep inspiring us to make more hipnotic music! and new artists feel free to send us a demo! thanks for the support Basilisk! your job with ektoplazm is great.. and your team are making a lot of people happy in all world!! One of the best this year. yeahhh still fresh !! thanks for all!!! Can we hear more of this artist somewhere?